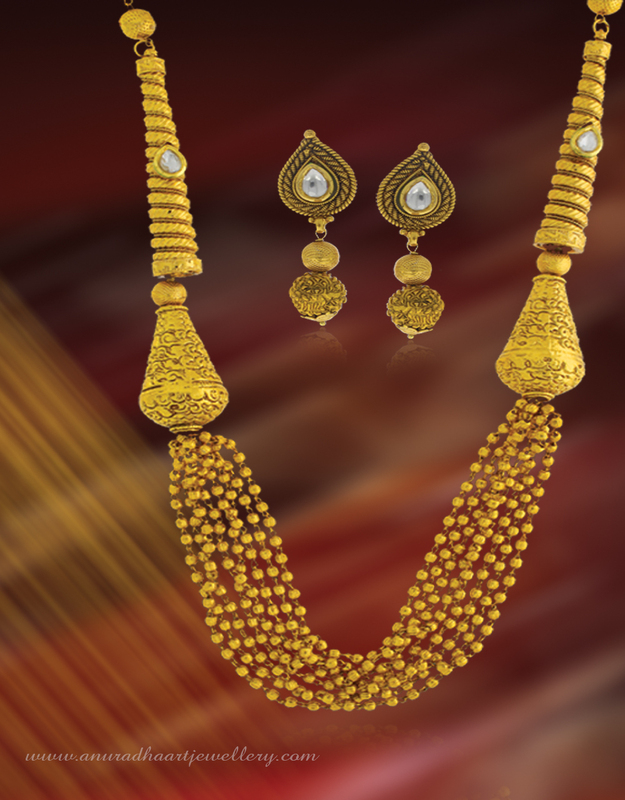 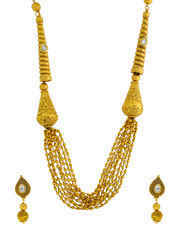 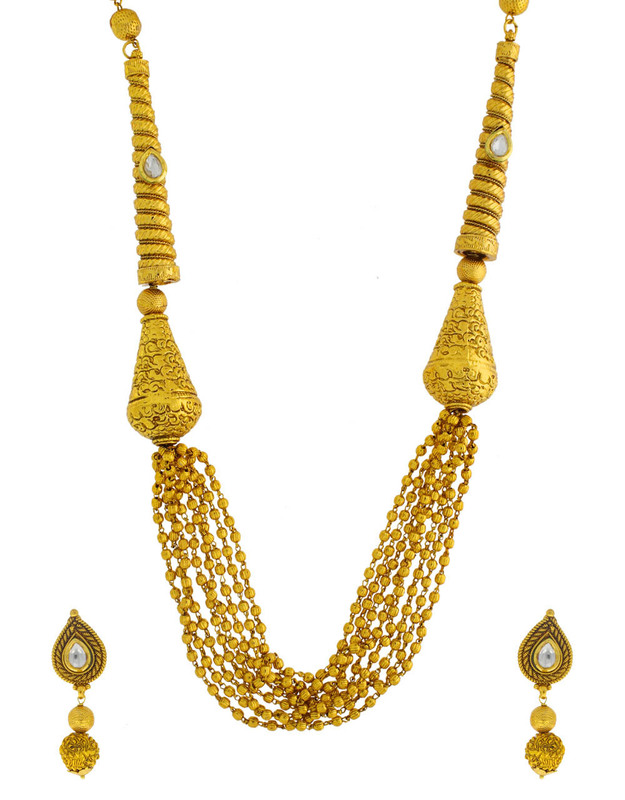 Endearing golden beaded long necklace set is something you will instantly fall in love with it. 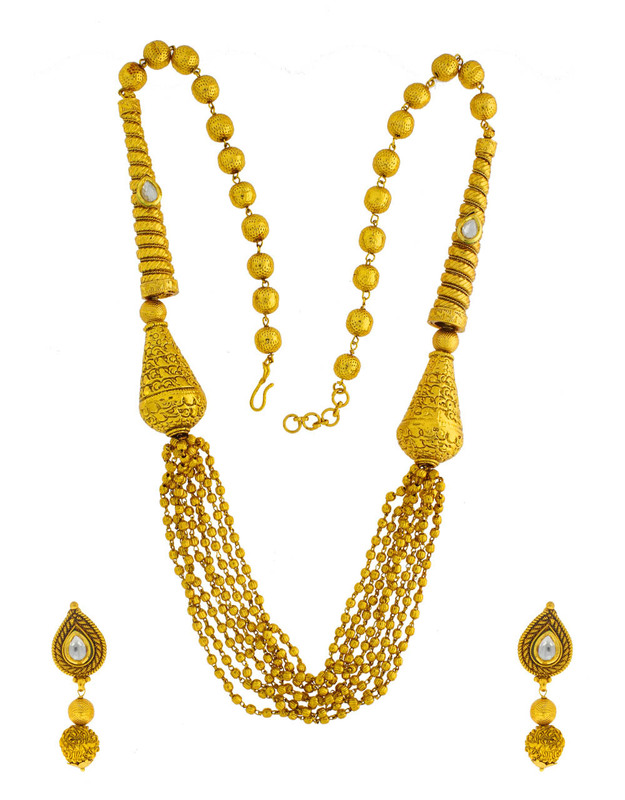 The design of this set is unique & worth noticing & after clubbing it with your traditional saree, this set will grab the endless compliments from onlookers for your amazing choice. 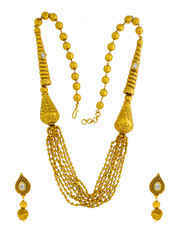 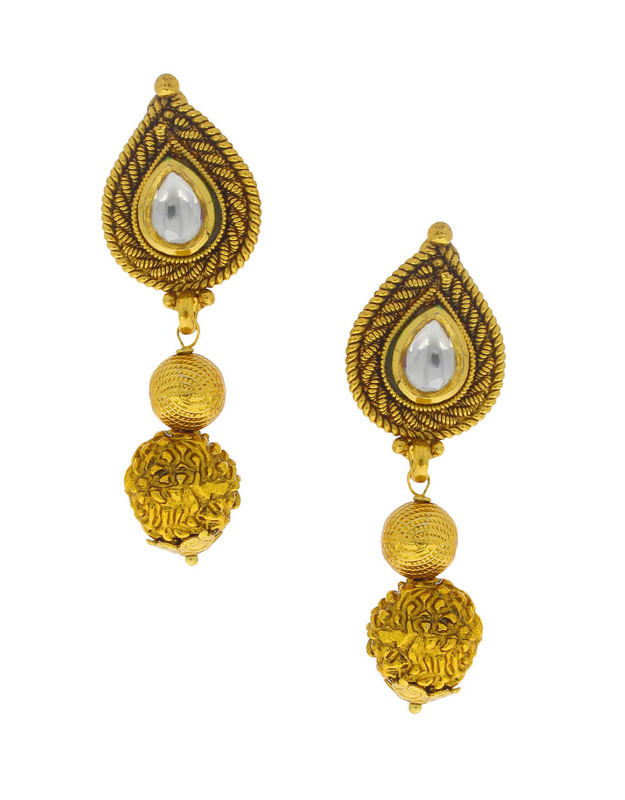 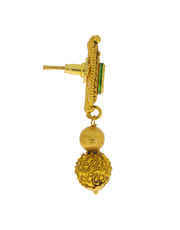 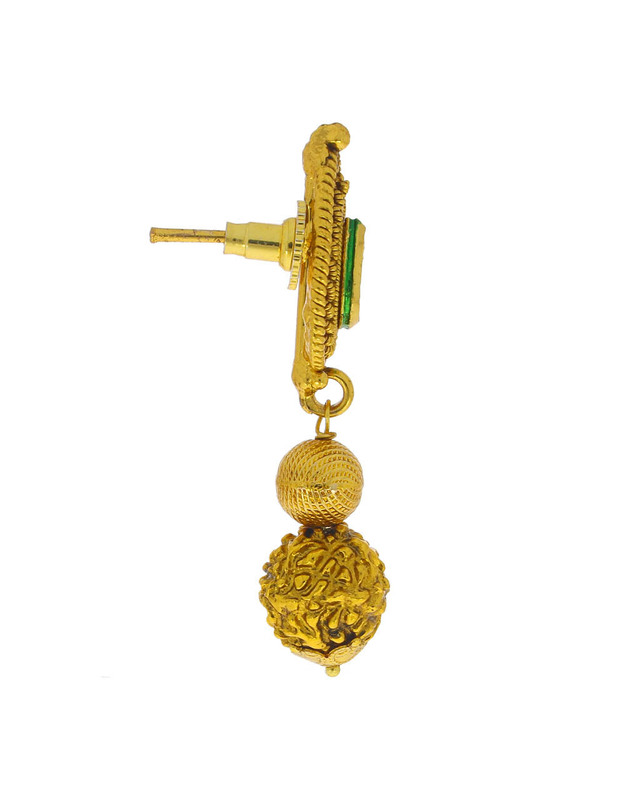 It is fashioned from golden polished metal. matching earring.